Dramatic footage from a camera mounted on the helmet of a member of the SWAT team who eliminated most wanted terrorist. Watch it here. 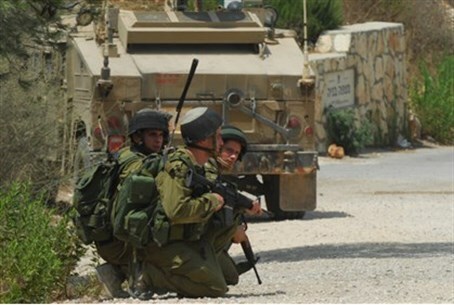 Arutz Sheva has obtained rare footage of the IDF SWAT operation in Jenin on Saturday which killed three terrorists. The footage, which was mounted on one of the helmets of a SWAT member, shows the IDF eliminating Hamza Abu Alheja, 20, a member of the Hamas military wing, the Ezzedine al-Qassam Brigades, during an arrest attempt. An Islamic Jihad terrorist and a Palestinian Arab civilian from the Palestinian Authority were also killed in the clashes, which erupted after Jenin residents rioted at IDF soldiers.